Posted in: Potpourri. Tagged: bracelet, clasp, dualtime, easylink, GMT, hometime, jaeger, jlc, lecoultre, luxury, watchuseek. The blue “home” hours hand is set to UTC, whilst the silver “local” hours hand is set to EDT. I received my first really nice watch — an Omega Seamaster 300 — back in 1967. I bought my first Rolex in 1981. In the intervening years, I have owned more than a dozen of each. Along the way, I have dabbled in other fine watches: Cartier, Concord, Ebel, Rado, Tag Heuer, Oris, Ferragamo, Eterna, Geneve, Panerai and Zenith, to name a few. But I have hovered ever so precariously around the fringes of the “big four:” Patek Philippe, A. Lange & Sohne, Audemars Piguet and Jaeger-LeCoultre. 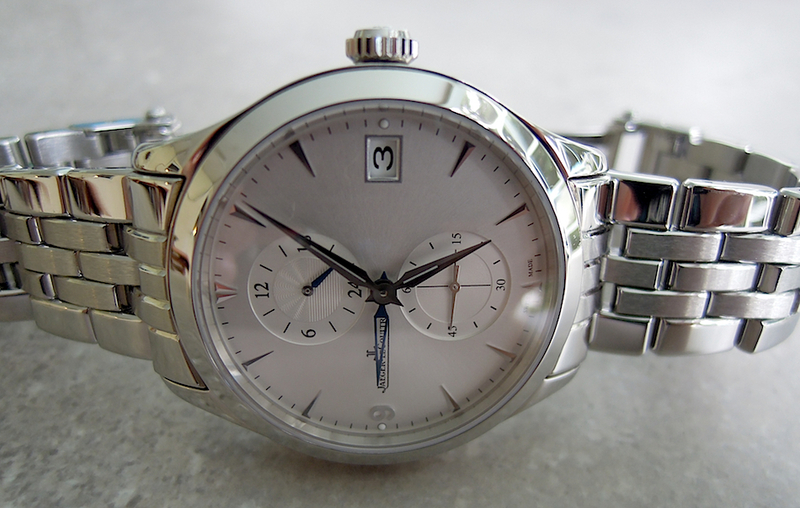 In the last several years, I have become more and more determined to finally score a watch from one of these iconic brands, and the brand I have admired longest of the four is Jaeger-LeCoultre. I remember seeing a Reverso in person back in the early ’80s, and it was very difficult to remove it from my wrist when it was time to leave the store (with my credit card un-maxed). Dabbling temporarily with other square watches convinced me that the Reverso would have been a short-term infatuation, had I actually made a purchase. But my attention was drawn just as strongly to the Master Control 1000 Hours line of watches from JLC. These watches are all referred to as “1,000 hours” because each and every watch — not just a sample — is subjected to 1,000 hours of tests before it is made available for sale. The Master line is a much more traditional look, enhanced by the delicate precision of the alpha or dauphines hands and the lustrous sunburst dial. Fit and finish of the cases is what one would expect from a manufacture such as JLC, with a flawless mirrored finish on the case. That is complemented by a sapphire crystal and exhibition back (Normally, I do not care for exhibition backs, because they add too much thickness to the watch. But the JLC Hometime is an elegantly slim 11.7mm, so the exhibition back is a welcome feature to display the stellar calibre 975H movement. This superb movement is a work of horological art, as one would expect from Jaeger-LeCoultre, which has supplied its excellent calibers to both Patek and AP. 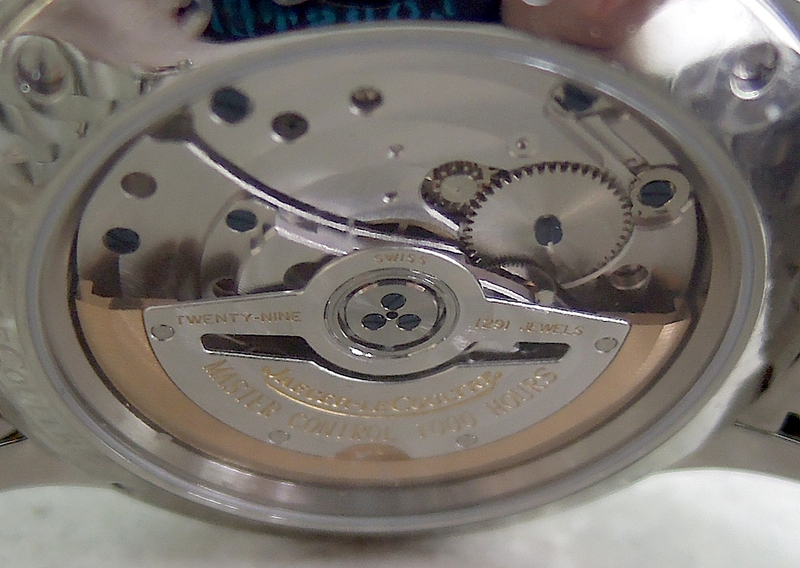 Blued screws and Côtes de Genève circulaire decorate the movement, but it is not all form over function. The rotor’s counterweight is crafted from 22-karat solid gold, chosen as much for its inertial properties as for its intrinsic beauty. A variable inertia balance wheel and ceramic ball-bearings in the rotor add to the movement’s durability and reliability. The cal. 975H is one of the most utilitarian “GMT” watches I have ever owned … and I have owned many in the 32 years I have been a pilot. 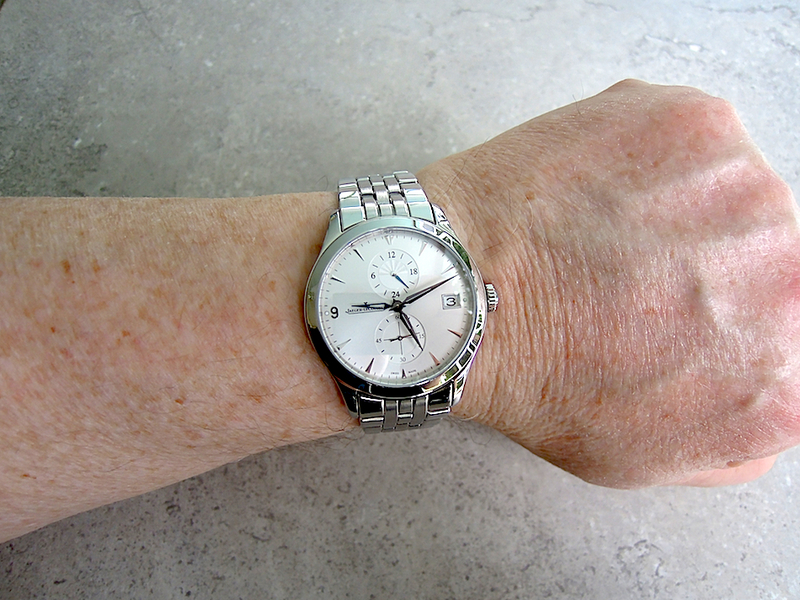 The dial has five hands: Central 12-hour “home” time; central 12-hour “local” time; central minutes; seconds in a 6:00 subdial; and a 24-hour hand, linked to the “home” time, in a 12:00 subdial. If you keep the “home” time set to UTC — or Zulu — time, the large 24-hour subdial is easy to read at a glance. But where the Hometime really shines is as a traveler’s watch, not a pilot’s watch. You set the “home” time to the time in your home timezone. The blue central hours hand tells you the hour at a glance, whilst the 24-hour subdial lets you know whether it is day or night at home. The second hour hand, which tells local time, is set in one-hour jumps by rotating the crown in the #1 position. This makes it very easy to quickly set the local time when arriving on a flight, without the need to hack the movement and throw off your careful calibration of the time done at home (and given the amazing accuracy of the JLC movements — a function of that 1,000-hour testing — you will not want to tamper with that precision). The date is linked to the local hours hand, so that the date reflects where you are. And it is adjusted quickly by turning the local hours hand around two full turns with the crown in the #1 position. The beauty of this dial configuration is that you easily can see the relationship between time at home and time in your current location. If there is more than 12 hours difference, the 24-hour hand will keep you straight. It is a fantastic watch for the frequent traveler who never wants to lose track of time at home or at his current location. The watches are delightful on a leather strap with the JLC deployant, but I am a diehard bracelet fan. Fortunately, JLC makes some of the nicest bracelets available for their Master line. First, the links have a proprietary spring-bar adjustment system, whereby the link spring is depressed past the joint with the next inner link. This allows the outer link to swing outward like a door. The link spring, which also functions as the pin that holds two links together, can then be removed and the links separated. Reconnecting is just as simple: The link spring is slid back into the connected links, then depressed enough to allow the outer link to swing back into position. When that outer link is in place, the link spring snaps back to its full engagement, creating a solid link that will not succumb to torsional pressures as links with screwed pins might. And the deployant is a thing of beauty … an elegant butterfly clasp that closes around a central pillar in the clasp. 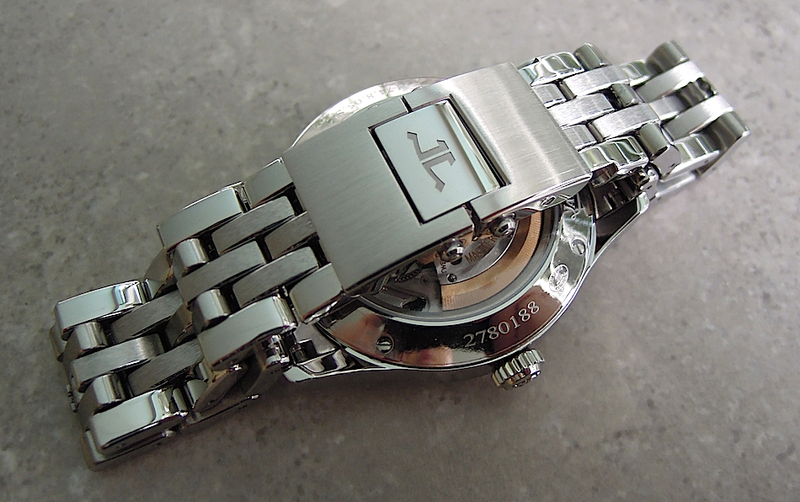 On either end of the clasp is an expandable link, quite similar to Rolex’s new Easylink clasp adjustment. However, while the Easylink allows a single expansion or contraction of 5mm in the bracelet, the JLC deployant includes two such adjustable links, each offering 4mm of expansion. Thus, the bracelet can be adjusted up-or-down by 4mm or 8mm on the go, for optimal comfort and fit. It took me a long while, with much research, to settle on the JLC Hometime (I also strongly considered the Master Chronograph, the Master Calendar and the Master Grand Reveil). Once I had made my decision, I thought I had selected the best example of JLC’s craftsmanship and prestige, combined with the utility of a watch that would serve me well in my travels. And, when I finally received the watch, I was not disappointed with any aspect of the watch. It was everything I expected and more. Tragically, I never really “fell” for the watch. For the nine months I have had it, it has spent most of its time riding one of my Orbita winders. At least every week or so, I will retrieve it, fasten it about my wrist, marvel at its beauty, and wonder why I do not wear it all of the time. But then I pass a mirror and notice that, in my semi-retirement in a resort community, I almost always am attired in shorts and polo shirts. The JLC Hometime looks entirely too elegant for such a pedestrian wardrobe. In fact, on the rare occasions when I wear a dress shirt and suit jacket, I gratefully remove the Hometime from the safe and relish how perfectly it goes with my dressier look. But I don’t like wearing dress shirts and suits. It’s wonderful to be able to enjoy our balmy temperatures in shorts, polo and sandals. Formal, at least for me, has evolved to long trousers, Topsiders and a Hawaiian shirt. I have struggled to hold onto this watch, especially after I spent so much time in its selection. The sad truth is that I’m not good enough for it. Perhaps a few decades ago, when I was constantly criss-crossing the country and traveling abroad, and a suit was worn six out of every seven days (and when I had more neckties than socks), the JLC Hometime would have been a watch that I would have loved to own and wear. Certainly, it would have been very useful during those years, in addition to being an understated beauty on my wrist. But those days are gone, and I fear that I have waited too long to own a watch made by the “big four.” They are all too elegant for this weary traveler who is happy to never go anywhere, and to never dress up. 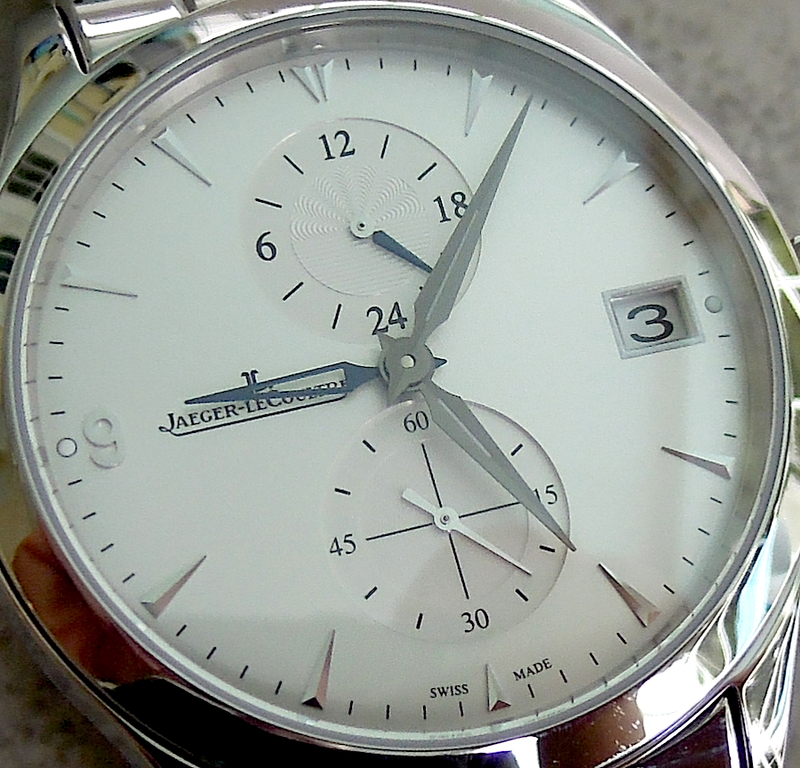 So I decided, with a heavy heart, to sell my Jaeger-LeCoultre Hometime. Fortunately, the buyer is someone who travels frequently across time zones, and wears business suits almost daily. I’m sure he will love it as much as I wish I had. Probably one of the most hotly debated topics on the various watch fora is the issue of “in-house” movements and what constitutes a true manufacture. The debate is made more difficult by the symbiotic nature of the Swatch Group, which owns ETA and a host of other movement component producers (e.g.-Nivarox). So why is the production of an in-house movement important? 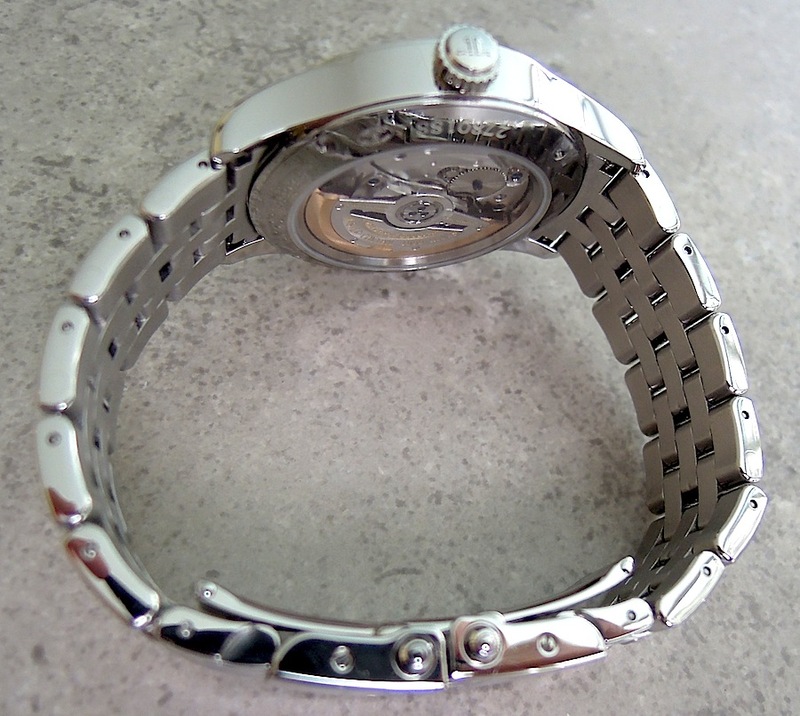 If one takes the movement out of a watch, it becomes a piece of jewelry of varying degrees of aesthetic appeal (depending on design, metals used and complementary accoutrements). I suspect a very, very tiny fraction of watch aficionados would stay on the various watch fora if all they were discussing were the merits of using rubies or sapphires on bezels or stainless cases instead of platinum. I would wager that almost all active watch forum members, along with more casual enthusiasts, have an interest in watches because of their mutual fascination with the tiny machine within that manages to track the passage of time, usually with amazing accuracy … a machine that is almost three centuries old and has been only refined – not radically changed – in all that time. And the most luminous names in the horological firmament are those who labored to develop movements that had one or more distinguishing characteristics, as it was the only legitimate way to differentiate one company from another. Before the Great Depression, a watch company might source movements from another initially, but everyone understood that long-term survival depended on the ability to produce movements in-house. That’s why there was a robust watch industry in the United States in those days. The economic exigencies of the global financial crisis that was the Depression changed the industry and sowed the first seeds of consolidation. Decades later, the Quartz Revolution altered that dynamic dramatically, driving many old, established companies out of business. It also gave us watch companies who, in fact, were jewelry houses only, casing another company’s quartz movements in their wares. With the Mechanical Renaissance, that trend continued … with many producers sourcing their movements from ETA, whilst a few sourced from other manufactures. So a watch company that placed no emphasis on movement design, development or production eventually was at the mercy of a very small group of movement producers. Worse, though, was that their wares now were only distinguishable by the design attributes of the case and bracelet or strap. And, as I have noted, that’s really not why so many enthusiasts spend so many hours studying, discussing and collecting watches. The question now of what is a manufacture, in a modern age that compels at least a modicum of deference to technological advances in production practices, should focus more intently on R&D and design of movements and less on where those movements are actually assembled. A company like Omega, which has the resources to bring forth a calibre such as the 8500, should not be judged on who actually builds that movement (it could be done turnkey in Asia with no diminution in quality). Rather, it should be judged on how ingeniously it took a 300 year old machine and refined it to create a distinctive variation that is worthy of admiration by peers and customers alike. To me, that is the 21st century definition of a manufacture. Admittedly, others – including a certain horology columnist we’ll refer to as the Timepiece Stiff Neck – have a more narrow view, but they’re placing emphasis on things which are not nearly as relevant today as they might have been a century ago (or even four decades ago). I have no regard for most watch companies who continue to produce quality jewelry powered by ETA movements (members of the Swatch Group, of course, are exempt from this disdain because ETA belongs to them collectively … it is their “in-house” producer). I might buy such a watch for a particular purpose (e.g. – a relatively inexpensive dive watch that I’ll use only underwater but never wear casually), but it will never take an honored place in my collection. Frankly there is a vast difference between Omega and Rolex, both of which have strived in recent years to solidify their bona fides as in-house producers, and others who rely solely on the forbearance of other movement producers to even exist. Breitling and TAG Heuer, for example, understand this. It’s not just about supply issues. It’s about corporate self-respect and market credibility. And that’s why they have gone to such lengths to return to producing their own in-house movements. They’re still not where Omega or Rolex are, but they’re trying. And it is vital that they do so. 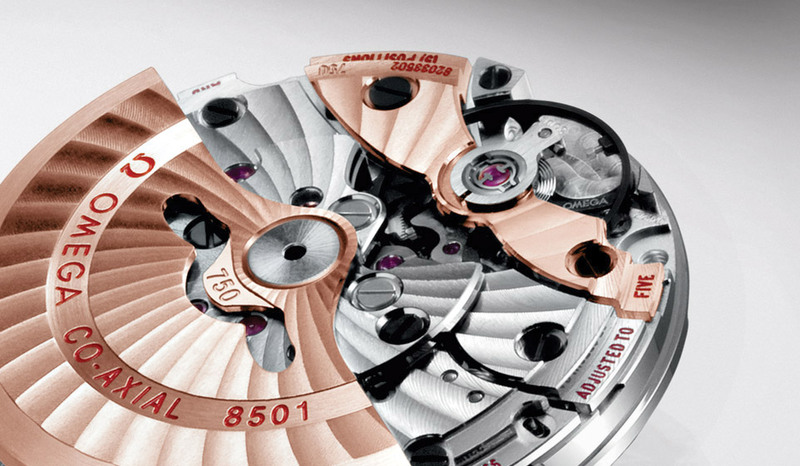 With most of the major watch brands now owned by large corporate conglomerates with virtually unlimited financial resources, a Breitling or TAG Heuer or IWC cannot be excused for relying on another company’s movements, despite the former glories they might have achieved in days gone by with watches designed using outsourced calibres. In this age of image-is-everything marketing, about the only thing a watch enthusiast can hang his proverbial hat on is how committed a particular company is to the art of watchmaking, best exemplified by creating one’s own calibres. Under my foregoing definition, a watch company’s status as a manufacture figures quite significantly in my purchasing and collecting decisions. I suspect that, after some honest reflection, most knowledgeable watch enthusiasts would agree. Has it really been only a decade since I became infatuated with large watches? It seems almost a quaint notion now, but in the years before then I considered my 41mm Omega Seamaster Pro as huge, and enjoyed wearing my Seamaster 120 and Rolex Datejust more than any other watches (and at 37mm and 36mm, respectively). Blame Sylvester Stallone, I suppose. I happened to catch him in “Daylight” late one night on cable, and really liked that cool watch he was sporting (it probably was the only thing that kept me watching that stink bomb). A little research revealed that he was wearing a Panerai Luminor. The 44mm Panerai Luminor Submersible looks perfect on the Rock’s massive, 6½-foot frame in “G.I. Joe: Retaliation.” Me … not so much. Given that Stallone and I are about the same height (I’m ignoring the fact that his physique is a bit more brawny than mine, although my Pillsbury Doughboy frame does give me a stout wrist), I was certain I could pull off the look. I immediately started checking out Panerai in cities I would visit on my travels, and fell in love with the PAM 188 chronograph. Now, I had owned quite a few Omegas and Rolexes at that point, several in stainless and gold, but I really wasn’t prepared for the price of that Panerai in plain ol’ stainless steel. Fortunately, my wife recognized it would take a long while for my watch lust to overcome my Scottish frugality, so she bought the watch for me as a gift to celebrate our 20th wedding anniversary. I’ll never forget the sheer size and weight of that watch (which, for the record, was 44mm). Everyone noticed it and I loved the attention. But I eventually tired of the weight and switched to an Italian rubber dive strap (dive straps, for those not familiar with them, have ribs or corrugation in the rubber to allow the watch to stay snug as one’s wetsuit compresses in deeper waters; the bulky strap perfectly complemented the PAM). I found I really liked the strap, both from an aesthetic standpoint (it got even more admiring glances) and comfort (the strap was much more comfortable than the wide stainless bracelet that came with the watch). Of course, it bothered me that the expensive bracelet was gathering dust in my jewelry box (did I mention my Scottish blood? ), so I would occasionally – heck, often – put the bracelet back on. Then, I’d grin-and-bear the heft of that watch. The PAM is almost never worn today (mostly on my wedding anniversary; my wife is too sweet to ask why not more often), but my tiring of it did not discourage me from exploring other large-case watches. I had discovered what is referred to on the watch fora as “boutique divers” – dive watches made by small companies who subcontract most of the parts – and sometimes the entire assembly – to manufacturers in China. They’re able to sell their wares at a much lower price than one would expect to pay for a mainstream Swiss brand such as Omega. The first to catch my eye was a Deep Blue Master 2000, which I saw in a section of International Watch magazine on dive watches. As a diver for 45 years now, I always have had a weak spot for dive watches, and that Deep Blue attracted me on two levels – it’s sheer size (46mm and almost 300 grams! ), and it’s low price (at the time it was like 500 bucks). It was the whole Panerai experience all over again – the admiring glances (actually, in retrospect, I realize they mostly were curious stares) and the massive heft. It wasn’t long before I found myself tiring of both the weight and the size. But it didn’t matter … I was hooked now on these behemoths and started scouring the horological landscape for others. In quick succession, I discovered other watches which had “wrist presence” (the euphemistic expression employed by all watch lovers who prefer watches that bear more than a passing resemblance to a satellite dish): Doxa, Helson, Boschett, Zixen, Prometheus, to name just a few. It wasn’t long before I had a collection of almost three dozen watches. Worse, I had sold off most of my “tiny” watches to feed this new addiction, including an original Omega Broad Arrow (at 39mm) and a Seamaster 120 Plongeurs DeLuxe (the watch Jacques Mayol wore in 1981 when he set his 101m free-diving world record). Yet one “Holy Grail” loomed on the horizon – the Rolex Sea Dweller Deep Sea. At 44mm, it was the largest watch Rolex made and had oodles of “wrist presence.” But it retailed for almost 11 grand, so some room had to be made in the collection – or, rather, some cash had to be accumulated in the bank account. One after another, my watches disappeared to new owners. As each was purchased, packaged up and shipped off, I had to grudgingly acknowledge that it was not really worn very much, if at all. I just wasn’t ready to admit the reason why most were not worn often. Finally, in a bit of serendipity, an acquaintance on WatchUSeek let me know he was planning to sell his Deep Sea and would sell it to me for a price that was simply too good to pass up. It took almost two weeks to reach me via USPS Registered Mail (the service that really puts the “snail” in “snail mail” – the Pony Express could traverse the entire western frontier in less time), and I was beside myself with impatience and anticipation. Finally, it arrived and I excitedly tore through the many layers of packaging to reveal this coveted watch, which fit perfectly when I fastened it around my wrist. Then a strange thing happened. I thought to myself, “This is one big freakin’ watch!” When I stole the occasional glance at it on my wrist, I found myself less admiring its looks and more eschewing its mass. It reached in hours the level of discontent achieved with the PAM 188 only after months of wear. I was stunned. Not just because she had never expressed so direct an opinion about one of my previous timekeeping leviathans, but because I realized she was right. The Emperor, as the young child had revealed, was not wearing any clothes. Exactly seven days after I received the highly anticipated Deep Sea, I placed it in the hands of its new owner … and quietly said a prayer of thanks for the mound of cash in front of me that represented the full recoupment of my investment (not, I must say, a common experience up to that point). The clarity of that quick boom-to-bust experience with the Deep Sea led me to reassess my fascination with large watches and the appropriateness of them on my wrist. 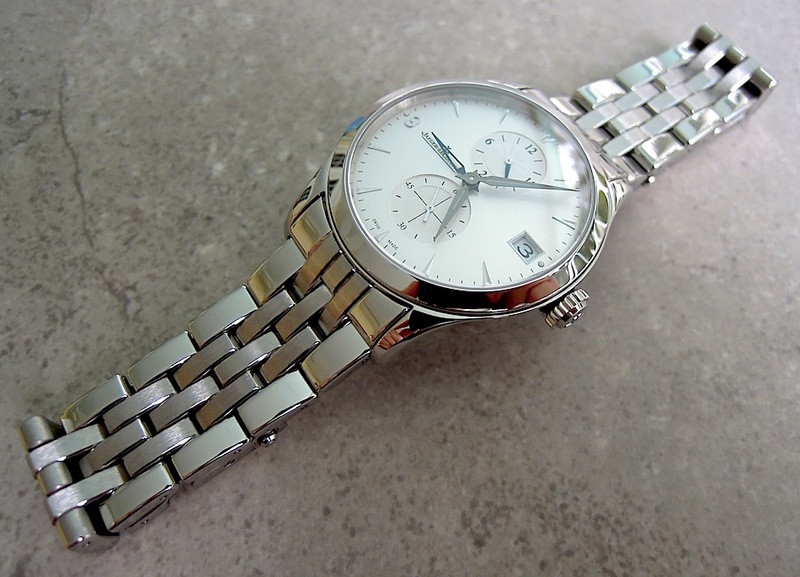 I pared my collection down to a few quality watches, all of which were between 40mm and 42mm. The centerpiece of that effort was a watch I had theretofore fastidiously abjured: the Rolex Submariner. But, in the grip of huge watch mania, I felt the Sub was downright dainty, and only the very manly Deep Sea would satisfy my craving. With the all-too-brief tenure of the Deep Sea, I determined to give the Submariner another look. And, as fortune would have it, a female friend (who has a thing for large men’s watches) had just purchased a new Submariner and, deciding it was just not to her liking, sold it to me at a great price. The Rolex Submariner 116610LN appears to be a better “fit” than the Deep Sea on the right. The 40mm Submariner (the new squarer-cased 116610LN with the ceramic bezel) brought into stark focus my self-deception on watch sizes. I realized that the central issue was not how I thought a watch looked on someone else’s wrist, but how it looked on mine. And as I pored through photographs of me wearing watches both large and small, I gained the perspective not available to me sitting at a desk or driving in my car … and saw just how appropriate those smaller watches looked on my wrist, and how out-of-place the larger ones appeared to be. I still look at the big watches on the wrists of others, think they look good on them, and feel a familiar pang of longing. But I’ve learned my lesson. Regardless of whether large watches persist in popularity, I realize that I have found the size that works best for me. 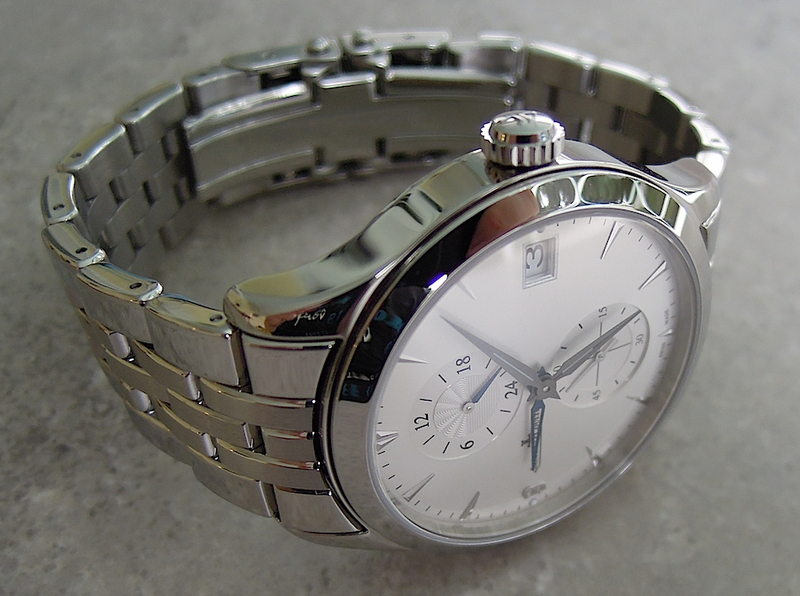 And, when I catch myself wondering if a 41mm watch really is “big” enough, I recall how huge my first 41mm SMP was. To use a metaphor from another eternal size debate, it’s not the size of one’s boat, but the motion in the ocean. Win a new Armida A5! Copyright © 2012-2015 New Sheriff Publishing, Inc. All rights reserved. This material may not be published, broadcast, rewritten or redistributed without permission. Contests conducted by WatchWerx.com and its sponsors are valid only if all conditions of entry are met. Contest participation is void wherever prohibited by law. WatchWerx is not affiliated with any watch brand or watch company. All watch brand names or trademarks referenced on this site are the property of their respective owners.